The Ailsa FSO for the Culzean field. 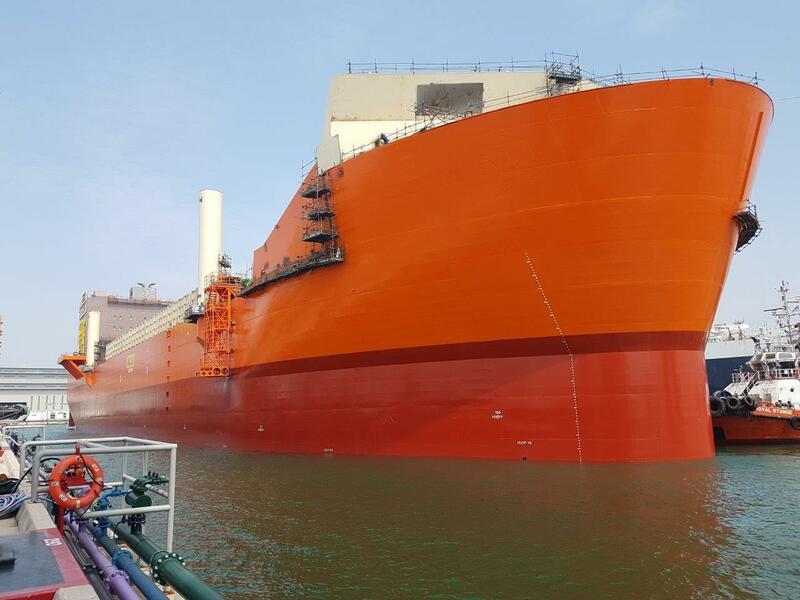 The floating storage and offloading (FSO) vessel for the North Sea Culzean field has taken to water for the first time. Culzean project operator Maersk Oil said on its Twitter account that the Ailsa FSO had “undocked” on schedule. The ship is being built by Modec at Sembcorp Marine’s Tuas Boulevard Yard in Singapore. First steel was cut for the FSO in summer 2016 with delivery expected in 2018. First gas is slated for 2019 on Culzean, about 145 miles east of Aberdeen. The FSO will handle condensate from the asset before offloading it onto a tanker. Maersk Oil announced last month that it is subject to a takeover bid from Total.